During WWII, an American pilot defected to Nazi Germany. Despite this, he was allowed to reenlist in the US military. Martin James Monti was born on October 24, 1921, in St. Louis, Missouri. One of seven children, four of his brothers would go on to serve in the US military. Monti had every reason, therefore, to be a patriotic American. And he was, in a way. The Coughlin way, that is. It all started in the 1930s with Charles Edward Coughlin – a Canadian-American Roman Catholic priest who ran a very popular radio program from Detroit, Michigan. 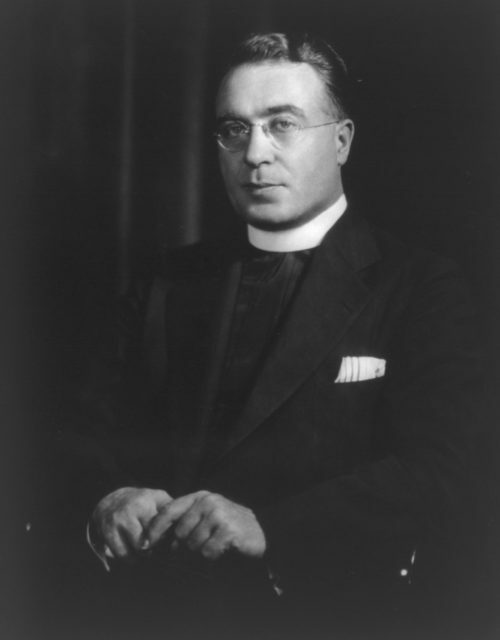 By 1934, Father Coughlin had a following of tens of millions throughout the US and Canada – making him the first televangelist, albeit via radio. Though initially supportive of President Franklin Delano Roosevelt, he had a change of heart and became a hostile critic of the New Deal – a series of liberal social programs. It didn’t take long for Coughlin to become anti-capitalist, however. From there, he became virulently anti-Semitic, as well as fiercely anti-communist. His views made him very unpopular with the Catholic Church which tried to silence him in 1936. Not that it made a difference, since it made him even more popular among his followers. This encouraged Coughlin to take things a step further by supporting the Fascist regimes of Germany and Italy. It was only when WWII broke out in 1939 that his broadcasts were finally taken off the air. By then, however, Coughlin had a devoted fan – Monti, who had been listening to the priest’s broadcasts since childhood. In October 1942, the 21-year-old Monti visited his childhood hero and spiritual guide. Whatever happened during their meeting must have had a major impact on the younger man, according to his later psychologists. Because the following month, Monti joined the US Army Air Forces as an aviation cadet. He finished flight training in 1944, became a commissioned flight officer qualified to fly the P-39 Airacobra and the P-38 Lighting, and got promoted to the rank of second lieutenant. In August of that year, he was sent to Karachi (then in India, but now in Pakistan) to join the 126th Replacement Depot as a replacement pilot. Shortly after, he was made a first lieutenant. It’s still unknown if he went to India planning to do what he did next, or if something happened there to push him over the edge. 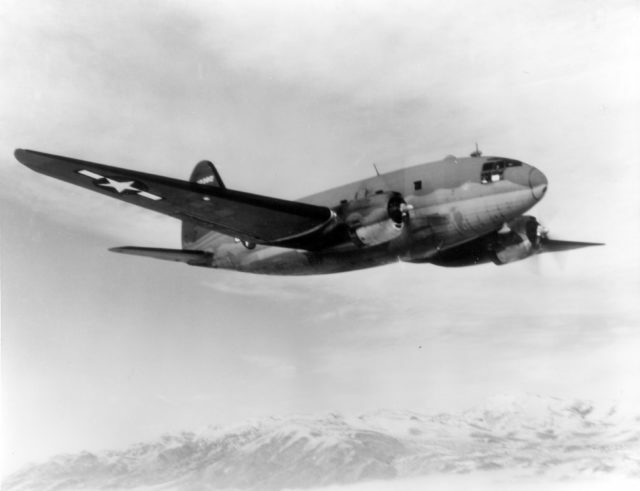 On October 2, Monti went AWOL and flew to Cairo, Egypt aboard a Curtiss C-46. From there, he made his way to Tripoli, Libya which had just been liberated from Axis control. 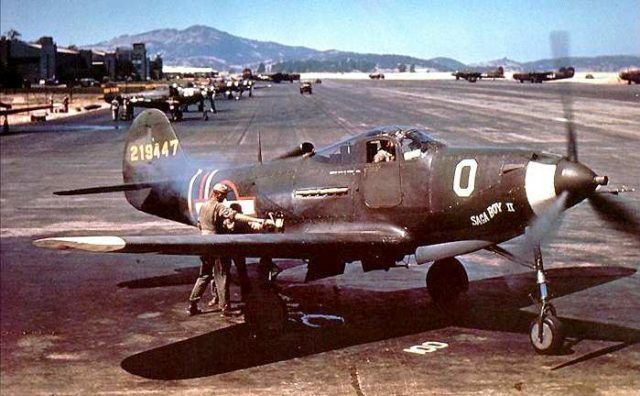 He then made it to the Foggia Air Base in Italy (also under Allied control) where he became chummy with the 82nd Fighter Group… but not for long. Monti’s next stop was at the Pomigliano Airfield with the 354th Air Service Squadron. 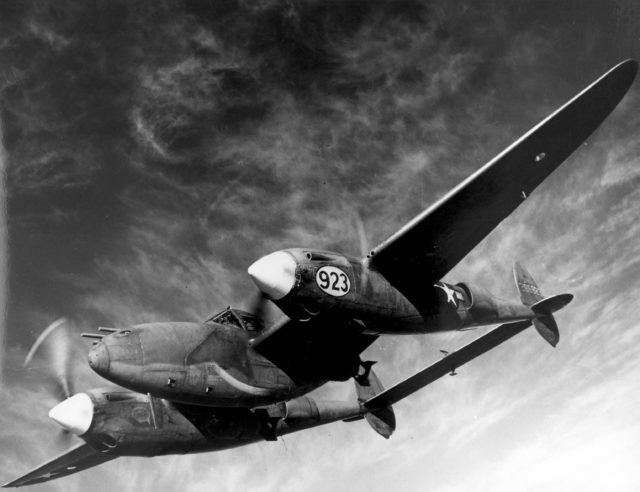 It was there that he found a reconnaissance P-38 that had just been fixed and was in need of a test flight. He volunteered to fly it, of course. Not knowing about his AWOL status, they let him. He flew toward northern Italy, landing in Milan on October 13 – which was still under German control. That they didn’t shoot him down was amazing. “I defect,” he said… or something to that effect. They didn’t believe him, of course, which is why they chucked him into a POW camp. But he was consistent with his story. Like Coughlin, he was virulently anti-capitalist, anti-communist, and anti-Semitic. What he wasn’t, according to his own later testimony, was anti-American. He did what he did to save his country from its true enemy – Bolshevism. It wasn’t his fault that America couldn’t understand the real threat. Cautiously impressed, the Germans took him to Berlin. There Monti was brought into the SS-Standarte Kurt Eggers studio – a propaganda arm of the Waffen-SS where many foreign defectors worked. He made his first mike test in December and was deemed good enough to make radio broadcasts. In January 1945, he was employed by the Reich Broadcasting Corporation (RRG) and given the pseudonym, “Captain Martin Wiethaupt.” His job was to be the equivalent of Coughlin, but over German radio. 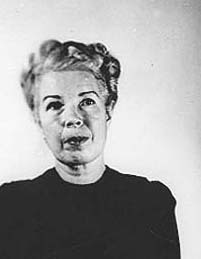 It was there that he met another defector – “Axis Sally.” Her real name was Mildred Elizabeth Gillars – an American who had married a German and found herself stuck on German soil when the war broke out. It could have been a match made in heaven, but it wasn’t. Gillars couldn’t stand Monti and threatened to resign rather than continue working with him. Fortunately for her, Monti was useless as a radio personality, so the RRG sacked him. Fortunately for him, he got a job with the SS – writing propaganda leaflets. It didn’t last. The war ended, and he surrendered to the US military on May 10, 1945… still in his SS uniform. He claimed to have been caught by the Germans, but had escaped thanks to the Italian underground. The uniform? He stole it for his protection and to gather intelligence for the Allies. No one bought it, of course. As to his brief stint as “Captain Martin Wiethaupt,” he claimed that it was done at the point of a gun. They didn’t believe that either, but they weren’t exactly sure what he did do. All they could do was charge him with desertion and stealing a plane – for which he was sentenced to 15 years in prison. On February 11, 1946, Monti was given another choice – rejoin the military as a private and all would be forgiven. So he became a sergeant when he was honorably discharged on January 26, 1948… then arrested minutes later by the FBI. 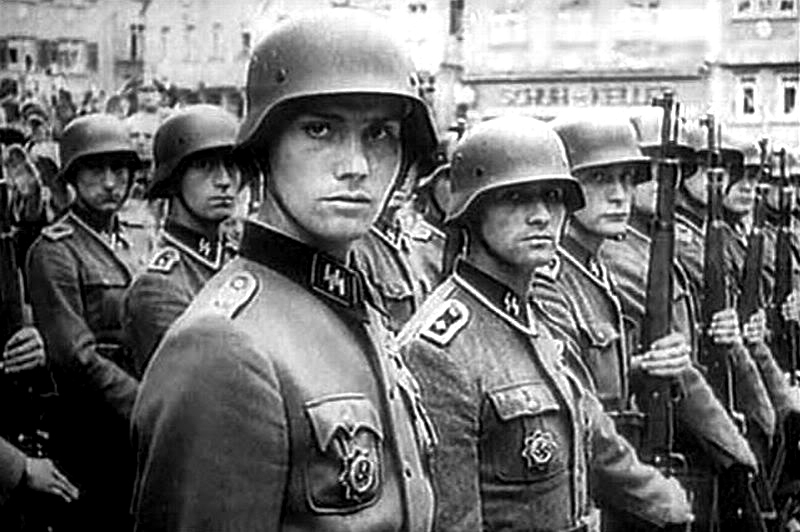 Military intelligence had found out about his SS affiliation. A federal grand jury charged him with 21 counts of treason on October 13 – remanding him to 25 years in prison and a fine of $10,000. Monti pleaded guilty to all charges on January 17, 1949 – surprising everyone who had expected a long, drawn-out trial. He changed his tune in 1951, however, claiming he had been pressured into it. He tried again in 1958, but failed, serving out his term at the Leavenworth Penitentiary in Kansas. They finally paroled him in 1960.